Feedback is everywhere in education. 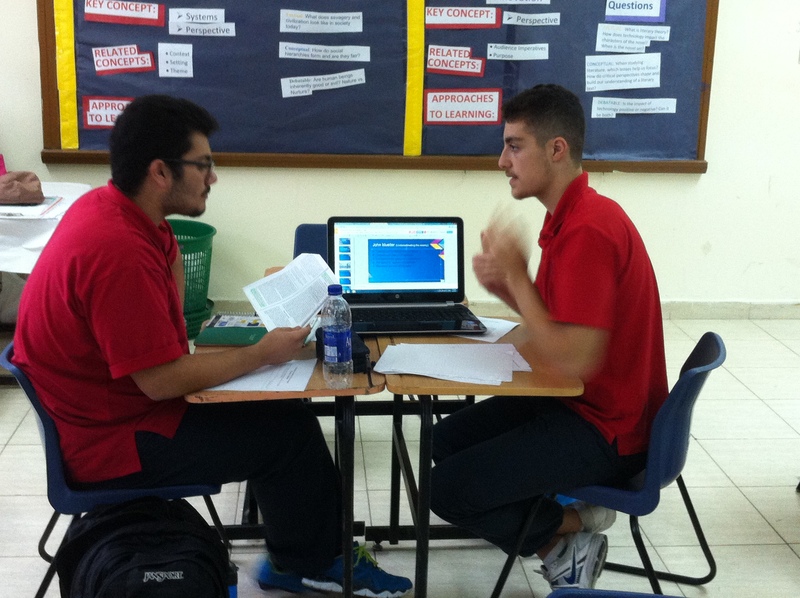 As teachers we give our students feedback all of the time–formally and informally. Feedback to students comes to them in all sorts of ways (verbal, written) and in many types of settings (formative, summative). There are have been many articles written on the importance of giving students feedback so that they can change their practices so as to refine their skills and work towards mastery. 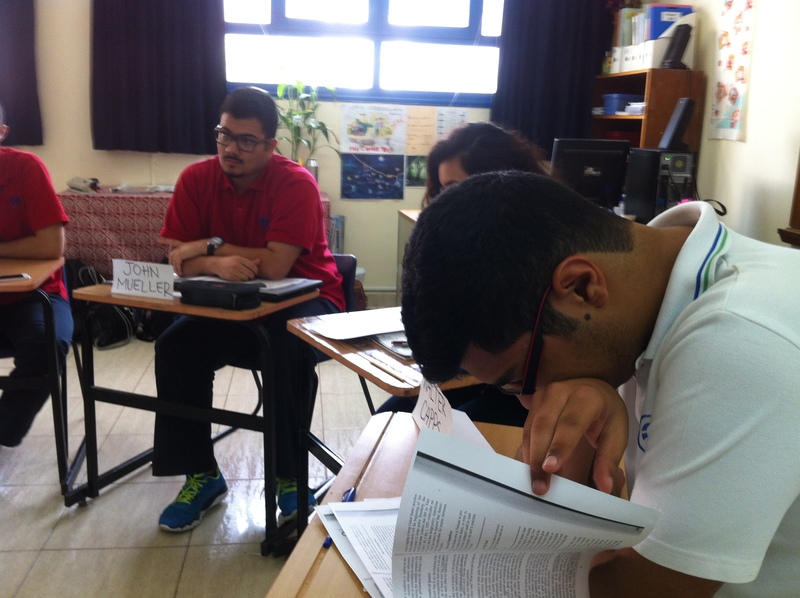 It is through feedback that students are able to learn and grow under the watchful and caring eye of their teacher. While it is common for teachers give feedback to their students, it is far more rare that students have the opportunity to give feedback to their teachers. I see reflective feedback from students to teachers as being a crucial and integral part in the continued growth and development of a teacher. In addition, by creating this channel of feedback and communication there will be a positive evolution of a classroom and learning environment. When teachers gather feedback about their practice from their students, it can act as a tool for teachers to modify their pedagogy to better support the learners in their community. It is all about the students! So why don’t we? Why don’t teachers actively and regularly seek out feedback from students? If it is the goal of the teacher to reach and connect with students in a meaningful way so as to support their developmental and educational growth, why would we not ask them how we are doing? The act of garnering feedback from students is a great way to demonstrate that the classroom is student centered and that students have a voice in their education. Through this empowerment students will feel more connected to the class and their learning as they think about how they can best be supported, and know that their voice will be heard. In a great post by the globally minded counselor, she speaks to asking people what support looks like for them. By asking someone what support looks like to them, the supporter can best address the needs of the person that they are working with. This idea of explicitly asking students what support looks like for them in the classroom forces students to think about their learning process. When students have to vocalize what support looks like for them and articulate how well their teacher is responding to their needs, it put students in a new position. With this new voice, students shift from being a passive member of the learning community to an active member where their thoughts and feedback matter. Students become active as they note and think about the learning activities that work for them knowing they will have a chance to give feedback. If we are ignoring the needs and experiences of our students and not intentionally asking them what support looks like for them and how they feel about their classroom experience, then how can we as educators be reflective on the effectiveness of our practice? A tool that I have used over the course of the year to gather feedback from students on my teaching practice is Google Forms. Google Forms allows me to create a questionnaire that I can easily distribute to students digitally and then collect their responses in an organized way. What I like most about using Google Forms to gather feedback from students is that their responses are anonymous. The anonymity of the responses empowers the students to be more authentic in their feedback as their is no fear that a teacher may be hurt or upset by an individual’s constructive criticism. Additionally, I find that by having no names attached to the responses ensures that there are no pre-conceived ideas about the feedback that I receive from certain individuals. Kevin Brookhouser has made a great video explaining how to create a Google Form for feedback. By asking for student feedback on my teaching and facilitating in the classroom, I have become a better and more reflective teacher. In the past I would reflect on lessons or assessments but the reflections would mainly be from my own perspective. Now that I am asking students their opinions I have direct access to the thoughts of the people that matter the most — the students. By asking for and receiving student feedback I am able to tailor my teaching and facilitation of the class to the needs of my students. The tailoring of my lessons allows me to be reflective on activities that were less successful so that I do not make the same mistakes in the future. Additionally, I can reflect on successful lessons and refine them for next time. I think that asking for feedback scared me at first. Once I got over the fear of being judged (which in the end was a total irrational fear), I was able to embrace all the feedback as a learning and growing opportunity — just like I ask my students to view my feedback. My teaching has only improved as a result of getting feedback from my students. The feedback has eliminated any guesswork I may have done on the successfulness of my teaching and facilitating as well as given me further insights into why certain lessons may not have gone as well. Most importantly if applying student feedback ensures a student centered class, we would be doing a disservice if we didn’t ask. As a IB History teacher I try my best to impart to my grade 11 and grade 12 students that while working in the discipline of history they can cut the flowery stuff in their writing. Part of my students task is to take the most important information and to synthesize it down to the most important information so as to. to create strong critical commentary. For some reason students come to me at the start of 11th grade with the idea that being concise equals less knowledge and that the more they write the “better” their understanding in. I have found providing student feedback on the need to be more concise and precise with thinking and writing is not enough. Yes students understand that they needed to be precise and concise but they still have a hard time putting that knowledge into application. I realized the process of preciseness needed to become visible and real to them. But in order for it to become real for them I would need to facilitate an opportunity for them to be precise. This opportunity came in the form of a movie trailer. Using the iMovie trailer function on an Apple computer, students were challenged to take on very large subject — American military involvement in a WWII battle — and condense the most important aspects and outcomes of the battle into a one minute and thirty second trailer. This time limit of the movie trailer would force students to be precise in their information so as to present an informational, yet concise, product. What is even better, beyond the time limit is that there is limited text that appears in a trailer for a limited time. With limited time that text is shown, the words that students choose had to be specific, precise, and meaningful so as to communicate the message accurately but not flowery. It was this constraint that challenged students the most. The movie trailer forced students to be concise and precise, they had no way around it. If they were too long winded with their text then the text and information would become unreadable and thus make their trailer ineffective at communicating the information. When student were first introduced to this task they viewed it as easy. Drag some photos in and batta boom — they would have a polished finished product. However, as their work progressed and I checked in with them, I found that the biggest struggle they were having was being precise and concise in the textual information that they were including. To be honest, I celebrated that this was the problem that they were having. It allowed me to work with students on an individual basis and coach them through how they could effectively communicate in a concise manner. The constraints that the movie trailer template gave students only allowed them limited time and space to communicate their information which also forced my instruction to them to be precise and concise as I also had to work within the limits of the program. Through a process and lots of me asking students, “Is this information vital?”, students began to see and feel what it means to be precise and concise in providing evidence and analysis. In reflecting on how I could improve this in the future there there is one thing that sticks out to me. I would make it explicitly clear to students that they should be using the text of the trailer to get across a point, supply evidence, and all give some brief analysis or recognition of the significance of the event. By giving this explicit instruction I would hope to push student s in the clarity communication in relation to the topic. I had some students use their limited text to include things such as coming this summer, an event like no other. While a statement like this could be appropriate for a trailer it did not support their understanding of the content. Overall I am happy with the creation of a movie trailer as a tool to work on synthesizing and analyzing information in a succinct, efficient manner and will for sure use it again in the future. So what? Why does this matter? How does the evidence answer the question and support your thesis? How can you build connections so as to prove your point? These are the questions that my students are challenged with on a regular basis so as to demonstrate their thinking and understanding of topics. These are also the types of questions that I find students tend to struggle with the most. In their studies of history, my students can easily recall the facts, name the leaders, and spout random anecdote often which I have no reference for. But the skill of making connections so as to form analysis and dive deep into the thinking process is something that they have a more hard time with. It is not that my students are not capable of thinking. In fact, I would argue that they actually overthink sometimes — but that is for another post. It seems that sometimes students struggle with critical thinking as it is simply easier to fall back on the facts of history rather than analyze them so as to create critical commentary. Facts are memorizable. They are tangible. Facts give off an aura of intelligence. Also, it is possible that through their educational experiences, students have been slated with “memorize, memorize, memorize” and not been asked to think critically and make connections. It is very possible that they have been part of classrooms where there teacher did the thinking for them and via direct instruction told them the answers. By no means are students to blame if they have been part of a system where the answers are just told to them. However, it is important for us now to work to combat student desires to just know the facts and rely on teachers to tell them the deeper connections. I want students to feel empowered to take academic risks so that they can feel the struggle, joy, and success of figuring out a problem or making a historical connection. It is when these connections are made or problems are solved that students have that light bulb moment — that moment when the complexity of names, concepts, and events all come together to create a crystal clear understanding of all the moving elements involved in studying. While the light bulb moment is the ultimate goal, it is the teacher’s job to help students get there. There are many articles and books that speak to working with students and helping them think about their thinking so as to reach a level of clarity in understanding. The ideas of meta cognition contained in these articles and books are excellent but I want to share and reflect on a more simple process that I recently used to help students make connections and think about the significance of what they are studying so to reach the light bulb moment. 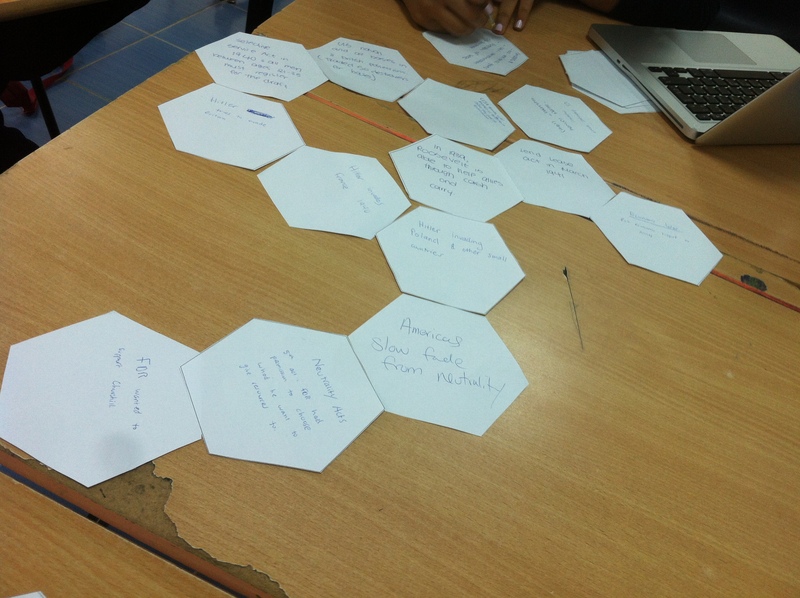 Students are given a stack of blank hexagons and a central/guiding prompt or question that will drive their thinking. For instance, a prompt that I posed to my grade 12 class recently was, Explain the long end of the Cold War. With this prompt in mind students are asked to discuss with one another who/what are the key people, events, concepts, dates, laws, etc… that have to do with the central question/prompt. Once students have recalled the factual information that relates to the prompt, they begin the thinking process. Student are challenged to label the hexagons with the specific people, events, concepts, dates, laws, etc…and start to interconnect them to show relationships, establish historical significance, and analyze cause and effect. For example, for the prompt Explain the long end of the Cold War students generated ideas such as: Poland, Solidarity, SALT I, The Helsinki Conference, Prague Spring, and Willy Brandt, to name a few. 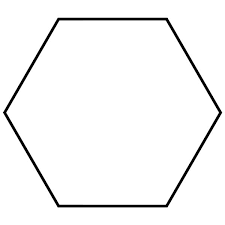 Since the hexagon has six sides I remind students that they should be thinking about how a single idea could have multiple connections stemming from it and use as many of the sides as possible to examine overt and subtle relationships within the content. For example, for the prompt Explain the long end of the Cold War students generated connected ideas such as the Prague Spring to Poland and the Solidarity movement. Yet, in between those two hexagons was the idea of Brezhnev’s goal to keep a stable regime. It is the connection of Brezhnev that is a critical connection and it is this connection that shows that thinking is happening. As students work through this process they are encouraged to think: to think about interconnections, to think about what elements are most appropriate to respond to the prompt, to think about more than the linear progression of history, and to think about their thinking process. To encourage thinking during this process I assume the role of a challenger. I like to move among the groups working and ask questions and challenge the connections they are making. Often students try to make multiple connections off of a hexagon that just don’t add up. Rather than point out student errors, I challenge them to think and work through how they can better arrange their knowledge. I try my best to not help my students make the connections. I want them to work together to build a collective understanding. If I were to aid them too much in their construction of taking facts and making meaning then I would only be doing them a disservice. I would be stealing their thinking from them thus defeating the purpose of the exercise. 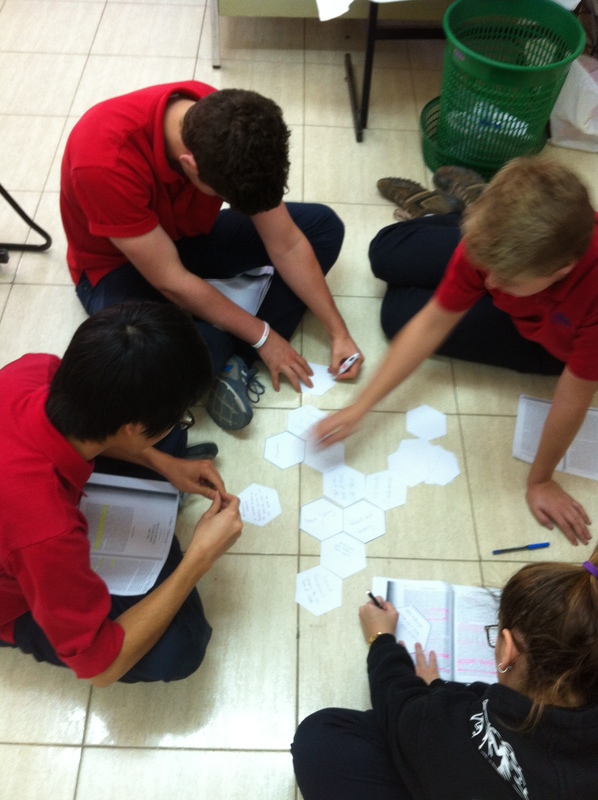 I see the hexagon activity as a great way to encourage thinking rather than memorization. Overall there are four main reasons why I will continue to use hexagon thinking in the future. It promotes critical thinking and pushes students to work to show the significance of facts. Hexagon thinking is visible thinking. The connections unfold in front of the students. They can see the connections and the interrelationships. By making these connections visible it takes their thinking and these ideas from abstract to concrete. This activity allows me to challenge students in a safe and constructive way. I can ask questions of them, I can question their understanding, and I can challenge their ideas. But because the hexagons are movable students can make changes to their thinking based off of the questions that I ask them. Hexagon thinking also promotes analysis. I find that students can struggle with the concept of analysis. By participating in this exercise students are creating analytical thinking. It is great to reflect back on that with students once the activity is complete so as to empower students to transfer those analytical skills to other tasks. 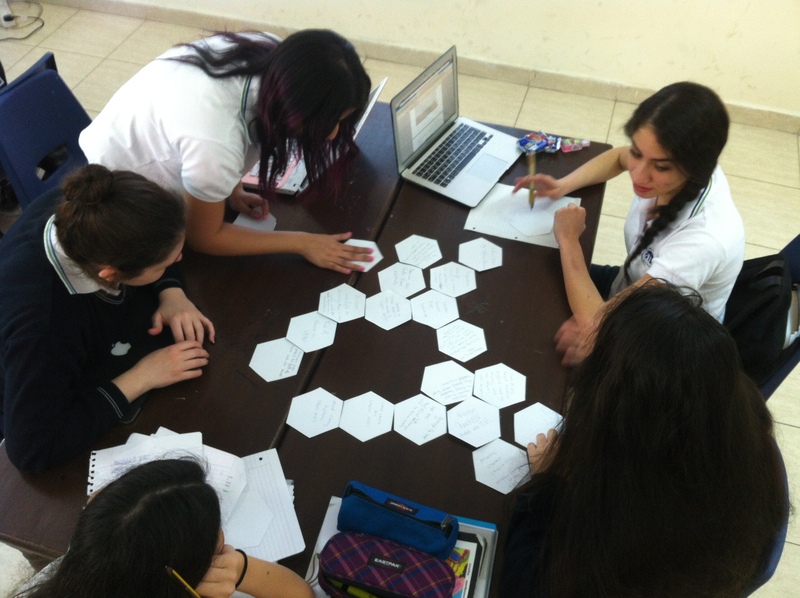 Hexagon thinking is just one tool that I have used to promote critical and analytical thinking skills. What strategies do you rely on to help develop critical thinking? What are some of your methods to help students move from memorization to analysis? At the school in which I work there is lots of talk about developing ourselves as educators and professionals. Some ways in which development happens is driven by the school, such as staff meetings and early release professional development days. Some individual educators in the school are even awarded the opportunity to be sent to various trainings around the world. On a individual level, some teachers work to continually develop themselves as professionals through PLNs, twitter chats, webinars, etc… These examples of development mentioned above take planning, time, resources, and reflections. While the effort is typically worth the end outcome of new learning, sometimes the work, time, and resources required can be daunting to staff and leadership. However, peer observation is another, and different, approach to professional development and learning that does not require the same work, time, and resources. Peer observation is providing teachers the opportunity to sit in classes (not always in the same subject area) to observe a lesson or portion of a lesson that is being facilitated by a colleague. The purpose of these observations are not to be judgemental or assessment based. Rather, teachers are observing to learn, grow, and develop their own professional teaching practice, from watching the practice of other educators in the building. A lot can be learned through conversations with colleagues and reading text. However, watching a teacher in action can provide deeper insight that other options cannot give. Additionally by watching a peer teacher each individual can debrief the observation so as to deepen understanding, discuss ideas, and build upon what was observed with intent of applying your learning to your own classroom. This year I began a peer observation process for my staff. I decided to focus on peer observation as a development model because I hoped to show staff that learning can take place outside of assigned PD days. I also hoped that staff would begin to view their peers are expert practitioners who have valuable ideas and practices to share. Each staff member was paired with another staff member and asked to visit his or her class to watch, listen, and learn. From the perspective of the staff, peer observation was a worthwhile and positive experience. By spending time in the classroom of their peers, teachers were able to observe other professionals in action. Through this process –using a lens of learning and developing — teachers were able to learn new things and be reassured about practices taking place in their own classroom. In addition, by allowing colleagues into their classrooms, staff built a community of trust and a community of learning. When trust and openness is built among a staff — that’s when real development can take place. As people feel safe to share ideas, take risks, and collaborate in an authentic way, then personal growth is made that will then positively impact the students that we work with. After reflecting on the peer observation process, there are some elements that I would like to adapt for the future. First and foremost, I want to get away from having structured observations and move towards a culture of openness and constant learning. I want the classroom doors of teachers to be open all the time and have teachers feel comfortable dropping in often. This open door culture would take the observation process from a potential feeling of evaluation to a feeling of learning and growth. When there are nerves in the classroom, or teachers or students feel they are being judged, the observation process and learning opportunities that come along with it becomes useless. While the staff that I work with found the observations useful, they did comment that because we have not created (yet) a culture of learning by observing it still felt a bit foreign to both them and their students. So this is where I am. A first attempt has been made. It is clear that it was a worthwhile experience but what else is clear is that a culture of getting into each others class must be established. So how do we begin? How does a school move towards a culture of openness? How can we effectively and meaningfully use peer observations as a low-stakes, low investment professional development tool? And how can we continue to make ourselves current and relevant and trust that peer observation is a positive step in that direction? How can a school/department authentically move towards a culture of openness for the purpose of learning so as to best serve the students that we work with? These are big questions that I hope to start to answer as I work with my staff to push ourselves to create a culture of openness and a culture of constant learning. professional development tool? And how can we continue to make ourselves current and relevant and trust that peer observation is a positive step in that direction? How can a school/department authentically move towards a culture of openness for the purpose of learning so as to best serve the students that we work with? These are big questions that I hope to start to answer as I work with my staff to push ourselves to create a culture of openness and a culture of constant learning. Recently Carol Ann Tomlinson wrote a piece in Educational Leadership entitled One to Grow On /The Caring Teacher’s Manifesto (2015). The premise of this piece is that often educators talk about caring about our students. Teachers, administrators, and counselors form relationships with students and over time take a vested interest in student’s lives and their futures. However, Tomlinson argues in her article that caring for our students is not enough. If we really care about our students then we must also care for our students. To care for our students means that we, as educators, should make intentional efforts to teach and embed within our students the skills they need when they move on from our educational institutions. As Tomlinson puts it, “Caring for students implies the intent to see to each student’s welfare and positive development. It calls for pedagogical action, for ‘doing’” (2015). That “doing” is what can be done in the classroom by teachers. The doing is linked to pedagogical action not just our daily interactions. Because the need to care for students is linked to pedagogy, educators should think about and plan on how to intentionally weave into instruction and assessment the skills that will enhance positive development. When I read this my mind was blown. When the dust settled and I pulled myself together I wondered to myself why I had never thought of this nor really heard of this before. In my mind caring for and caring about students were synonyms, rather than separate actions. The interconnectedness between caring about our students and caring for our students is an essential link. If we truly care about our students and wish them academic and social- emotional success, then we must care for them as well. I realized that I needed a game plan. I have started to think about what I can do to care for my students in an intentional way. What I have determined is that my caring for students needs to be the foundation of my practice and linked to the daily routines in the class and other school based settings. In searching for the essential elements of caring for our students I reflected on the IB’s approaches to learning and teaching in the DP. The approaches to learning and teaching framework provided clearly defined and tangible ways that educators can care for their students. The IB has identified five essential skills for their ATL skills. I see the incorporation of these skills into everyday teaching as an excellent way to care for our students. To me the ATL skills are all life-skills that will be applied during a variety of stages of a student development — not only academically but also socially and professional. These are the skills that students will rely on to aid them in successfully navigating the world. We, as educators, should stress to our students the transferability of these skills from context to context and teach students how to adapt these skills to different situations. By using the ATL skills as a guiding framework on intentionally caring for students I believe, “I’ll help students value and contribute to a classroom in which everyone works together responsibly with the goal of becoming more fully human together” (Tomlinson, 2015). Shouldn’t this be the goal of any educator? For students in the IB history course, a requirement in their writing of Paper 2s and 3s is the incorporation of historical perspectives, or historiography. Since I began teaching IB History I have grappled with how to best share with students the multiple views of historians. Should students just be given excerpts from historian’s writings for a given topic? To me that seems inauthentic as no real thinking is involved — just read and memorize. Should students be sent out to investigate perspectives? I worried with this approach students would chase historical perspectives down rabbit holes of the internet. For the most part I found that I was encouraging students to read into articles that we used in class. I wanted students to take these medium length scholarly articles find meaning and to record the interpretations of those historians. While this last approach has worked well for me and my students, I still was searching for new engaging ways to introduce new historiographies. Lucky for me, there was a new technique that I came across and tried the other day in my classroom. I first read about the Historian’s Breakfast on Rebekah Madrid’s blog. I was intrigued by what seemed to me to be a brilliant way to hash out multiple historians perspective around one topic. For a Historian’s Breakfast each student in the class assumes the role of a historian and participates in a historical based conversation from the point of view of an assigned historian. Students are responsible for knowing the ideas of their historian and of course the context of the historical conversation, as well. Through a conversation facilitated by the teacher and with solid driving questions, a slew of historiography is able to be flushed out in an engaging way. How did I set up/facilitate my Historian’s Breakfast? I assigned each of my students a perspective on the topic/question that we addressing, which was, “Why did the US fail in Vietnam?” In my research of Historian’s Breakfasts I had seen that other educators had their students research into the views of specific historians. For me, I gave my students pieces of writings from different historians. I did this to cut out the possibility of misinformation and for the sake of time. I was lucky enough to have access to a book from the opposing viewpoint series. Students were asked to read over their piece and to annotate it with our essential question in mind as well as the task they knew they would have to complete. 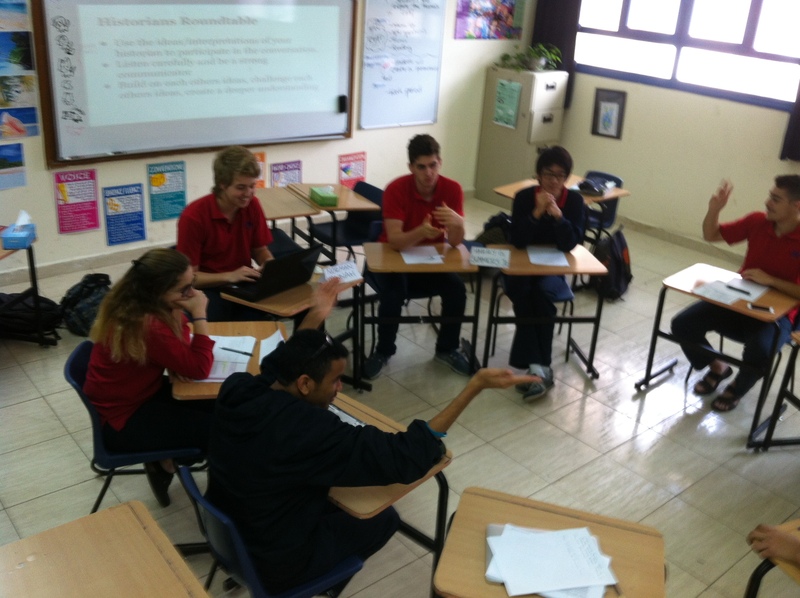 Before we moved into the full conversation where students spoke as their historians, I had them present their ideas. I created a shared Google Slideshow and allowed each historian one slide to put their main ideas. With their one slide students (acting as their historian) had one minute to present to their classmates/fellow historians their ideas. My reasoning behind having students present was to allow all students to have at least some insight into the views of the other that they would be dialoging with. I was very happy with how this experience went. As I monitored the conversation I was deeply impressed with the accurate historical interpretations that were being shared. I was happy with the emphasis I had put on students staying in character. As students conversed they addressed each other by the name of their historians. The students saw the others in the conversation not as their classmates but as historical thinkers. Due to each historians unique perspective, students appropriately challenged one another’s ideas, asked thoughtful questions, and built upon each others ideas. I am interested in having students research into the views of historians as opposed to being given a singular reading from a historian. Maybe next time I would work to strike a balance such as me providing a reading but also holding students accountable for some research. I also think that I might change my debrief process. This time the debrief was focused solely on me assessing students for comprehension of historian’s views. I was only looking to see if they understood the ideas of historians. Next time I would like to ask students what they think about the views. The use of a four corners activity could act as a good way to facilitate a reflective conversation on the views of the historians. Will I host another Historians Breakfast? Absolutely! Overall I was extremely happy with how this went. I found that students were highly engaged in the learning activity and additionally via my assessment I could see that they took lots away. I think that since they experienced the conversation as opposed to just reading another view of a historian they will retain the information at a higher level and hopefully be able to apply it in their writing. Ever since taking a class with Bill Bigelow at Lewis and Clark College I have been committed to the idea that a history class is most engaging and relevant when the content and concepts are shown and can be experienced or seen by students, not just told to students. The practice of show, don’t tell, can take many forms in the History classroom. As opposed to having the teacher stand in front of the room and deliver content (tell), students can be shown history though debates, role plays, simulations, and many other forms (show). This approach engages students with history and pushes them to critically think about what they are seeing and experiencing so as to make connections within history and grapple with the ideas and concepts in front of them. The idea of showing history can even go beyond the traditional practices of placing students in a simulated time and place. With the idea in mind of contemplating historical content in a meaningful way, I have been thinking about how else students can see history. I have been interested in seeing how students can literally show history — how the data and statistics of history can be manifested in a visual and thought provoking war. To help in this showing of history I have begun to use and explore the use of infographics in the classroom. Infographics are essential visual representations of data, statistics, and information. While text can be included on infographics, text is not the heart of the product. While I believe in the power of writing so as to communicate ideas this is just one way for students to demonstrate understanding. An infographic engages students in another medium or learning style. Using infographics challenges students to use a wide array of skills so that they can be the creators of a product and decided how to best make sense of history. There are some great websites out there that students can use to create infographics in organized and eye catching ways. Some of the sites that have been used in my classroom are piktochart, easelly, and infogram. All of these websites have free templates that students can use and manipulate to best display the information. So why use infographics in the classroom? Infographics push students to think. The creation of an infographic in not a passive activity. There are steps that are needed to be followed so as to create a reliable and interesting product. 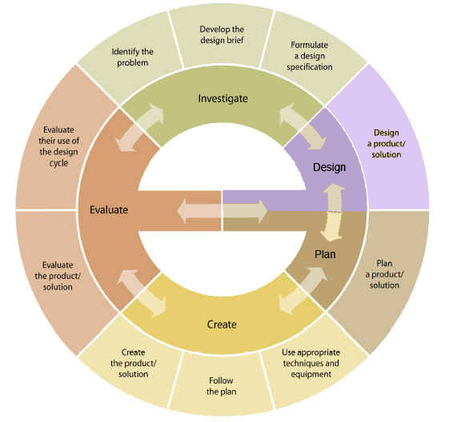 In my experience it is as if students almost go through a mini design cycle. 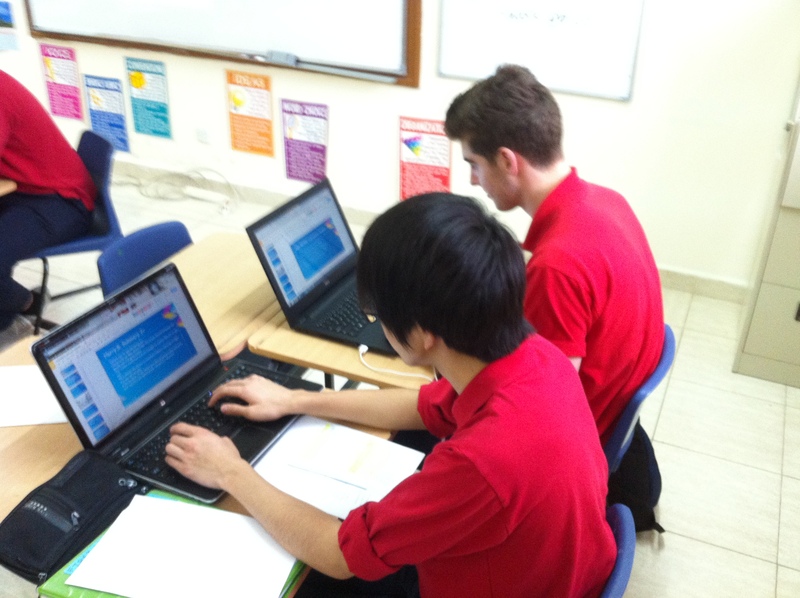 First, Students need to research information to be placed on the infographic. Students need to decide what information, data, statistics is the most essential to include as there is not room enough on an infographic for everything. 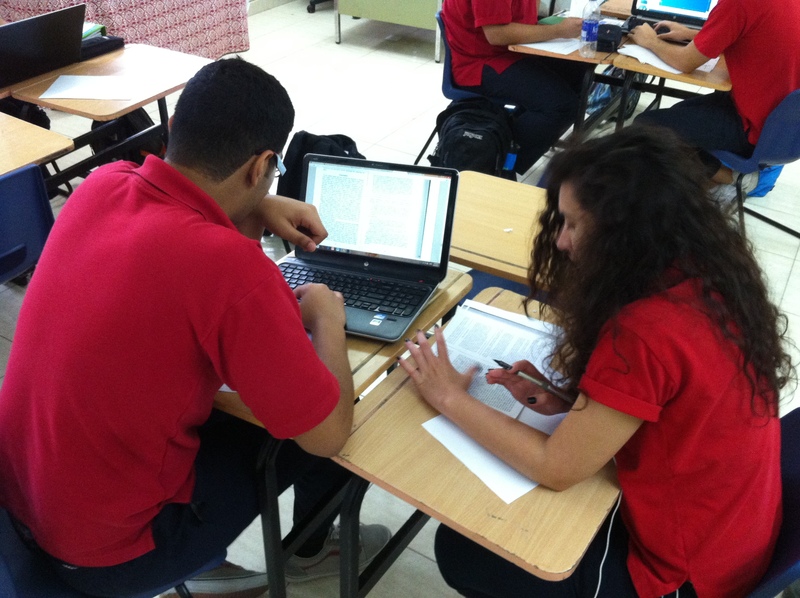 In the research process students still need to seek reliable sources, fact check, and cite. Once the inquiring is done students have to decide how to communicate information in an organized way. What graphics will they use? How will they communicate the vital statistics? These are all skills that students use across subject areas in school but are also skills that can be applied to life outside of school. In the end through their hard work students are left with a product that shows history. It is visual, it is evidence based, and it did not come from a teacher lecturing them with spoon fed answers. 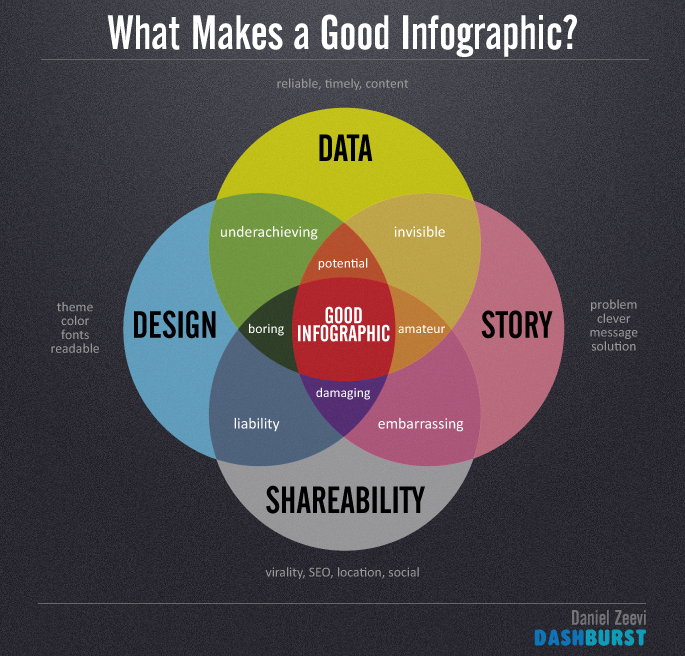 I have had successes and flops with infographics but I do believe that they have a place in the learning process and are valuable in showing history as opposed to telling it. 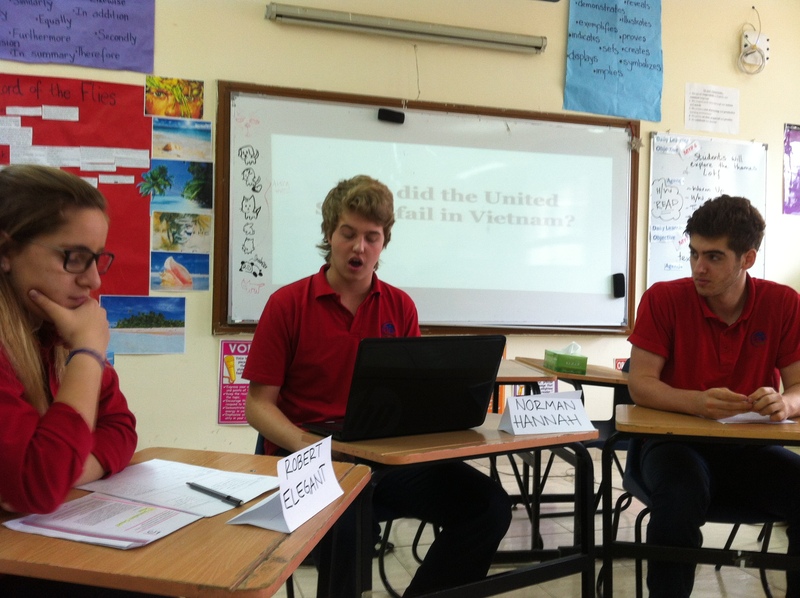 Last year I was at The Hague International Model United Nations (THIMUN) conference. While there I had the opportunity to speak to a professor from Leiden University. In our conversation he told me about what skills he sees students lacking most as they enter university as freshmen. More than anything he said that students struggled with the art of academic conversation. He found that he had smart students who knew the facts, but could not build off of the ideas of others so as to deepen their own understanding through conversation. Since my discussion with the professor I have thought how can I, as a high school teacher, prepare my students for the skills they will need at the next level, especially in terms of carrying on academic conversations. I have the use of structured conversations has been a tool for me to help students develop the skill of academically driven conversations. Structed conversations are the use of protocols, thinking routines, or guiding questions to take ambiguity out of what needs to be said and provides a framework for dialogue. When I began teaching I imagined being part of free flowing, thought provoking, intellectual conversations with classes. These conversations of my dreams just emerged naturally and were driven by the pure love of the content and the passion for conversation. What I found is that at 7:35 in the morning, no matter how much students enjoy a class, conversation does not always flow. To address the crickets in the room I have used a variety of structures to facilitate conversation. One of the structures that I have found to be most productive is Save the Last Word for Me. Save the Last Word for Me is a protocol that comes from the National School Reform Faculty. Each student selects a portion of the text significant to that student and one at a time shares his/her portion with his/her small group. Once the portion of the text is shared each group member is expected to respond to the selected portion for a set amount of time. After the group members have responded to a specific portion of text, the initial sharing student gets to have the last word — either building upon any ideas shared by their peers or just sharing why they selected this portion of the text. By using structured conversations, versus freeflow, students are held accountable to be part of the conversation. Often times their accountability is only for a limited time, but still they know they are 100% expected to participate. These structures and accountability checks helps to create a even and level playing field. The structured conversation allows all students to have a voice and have their ideas heard as opposed to a conversation being dominated by whomever is most comfortable speaking in front of a group. This, in turn, leads to a deeper construction of understanding as a wide variety of voices are sharing ideas and building upon one another. If you are interested in finding further structures to help facilitate academic classroom conversations, the National School Reform Faculty website has lots of free resources to help educators.